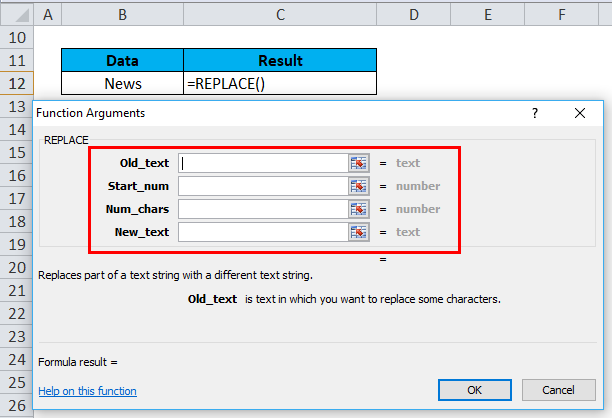 How to Use REPLACE Function in Excel? 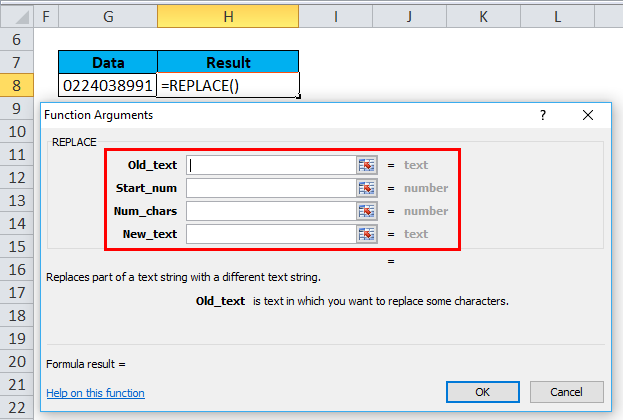 Num_chars (Compulsory or required parameter): It is the number of characters you want to replace. 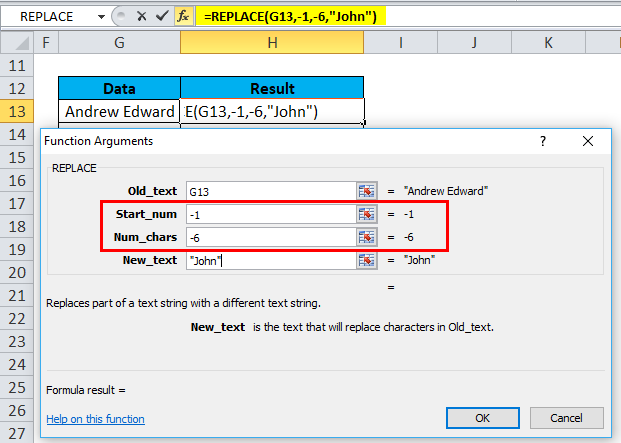 Note: new_text argument does not need to be similar or same length as num_chars. 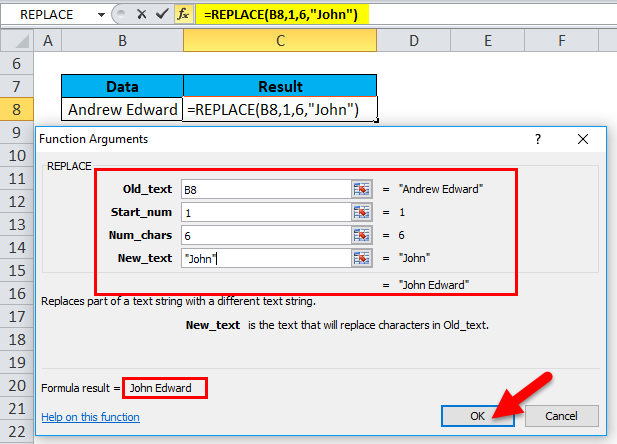 REPLACE Function is very simple to use. 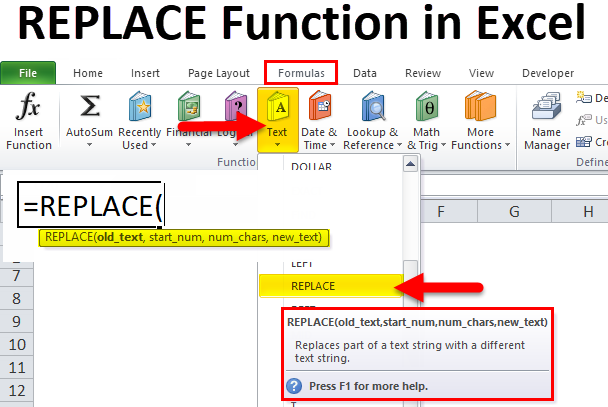 Let us now see how to use REPLACE function in Excel with the help of some examples. Let’s apply to REPLACE function in cell “C8”. 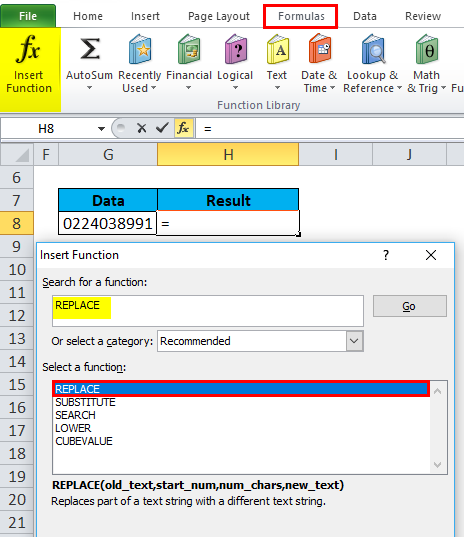 Select the cell “C8” where REPLACE function needs to be applied. 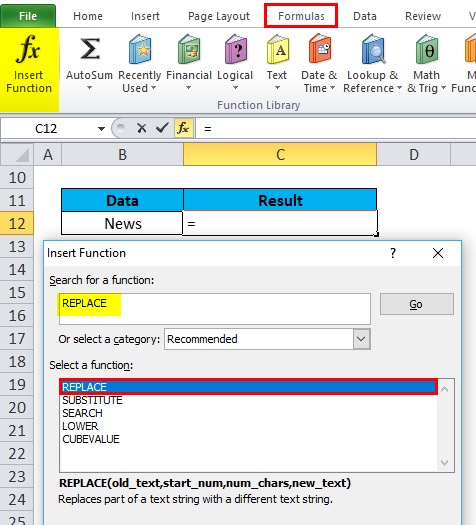 Click the insert function button (fx) under formula toolbar, a dialog box will appear, Type the keyword “REPLACE” in the search for a function box, REPLACE function will appear in select a function box. 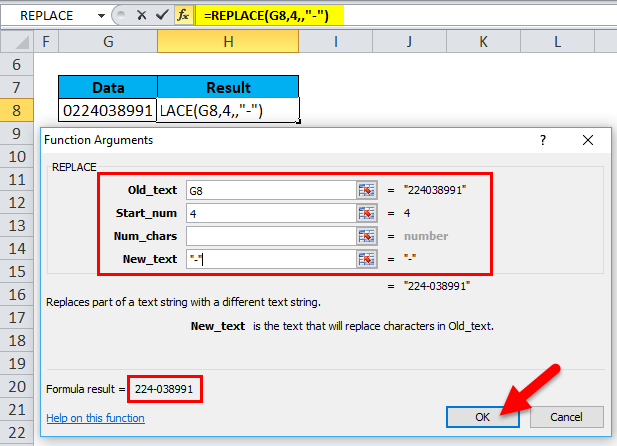 Double click on REPLACE function. 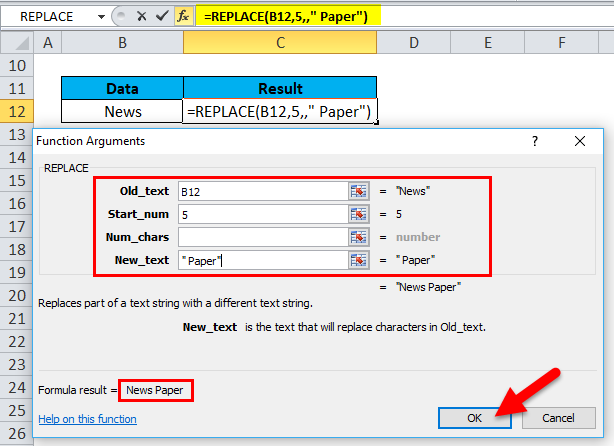 A dialog box appears where arguments for REPLACE function needs to be filled or entered i.e. Click ok, after entering all the replace function arguments. In the below-mentioned example, In the cell “B12”, it contains the word “News”. Here I need to add the missing word i.e. “Paper”. With the help of REPLACE function. Num_chars or Number_of_chars: Here it is left blank. i.e. We are not replacing anything here, as we are adding a missing word to old_­text. Let’s apply to REPLACE function in cell “H8”. 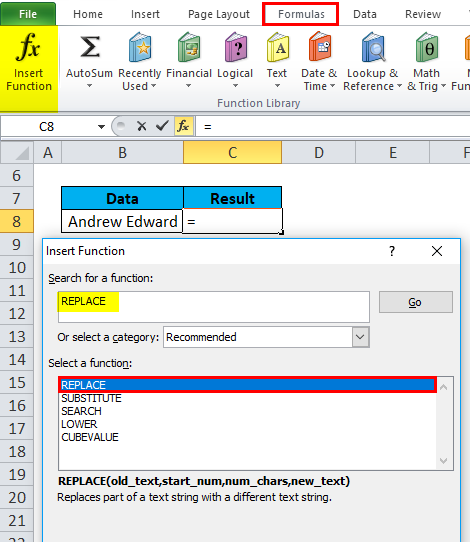 Select the cell “H8” where REPLACE function needs to be applied. 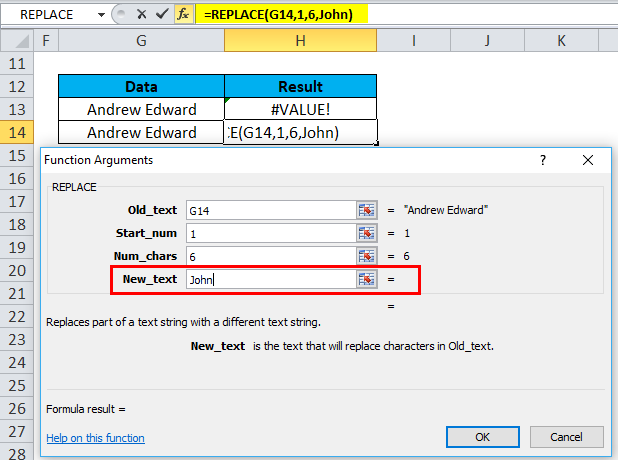 Click ok, after entering the all the arguments in replace function. 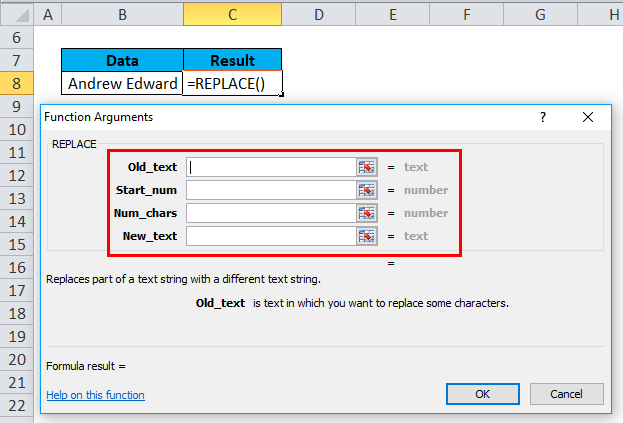 #VALUE error occurs if start_num or num_chars argument is a non-numeric or negative value. It will throw Value Error. It will throw Name Error. How to use DAY Excel Function?